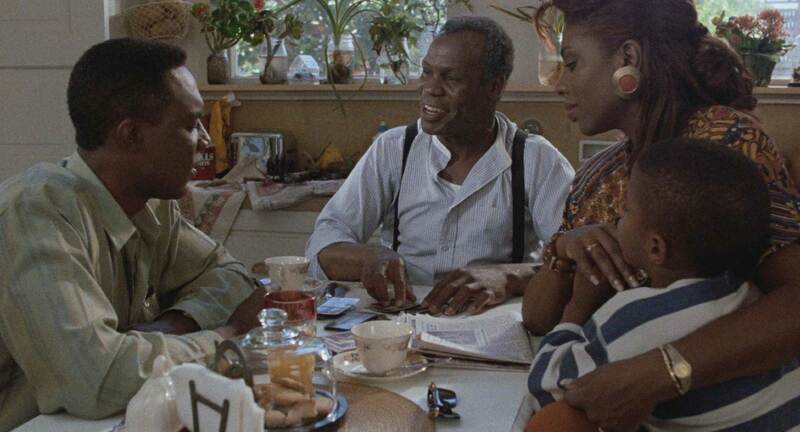 Filmmaker Charles Burnett has an extraordinary gift for fashioning symbolism that enriches his themes while appearing spontaneously “found,” giving his work a distinctive magical quality that feels controlled yet shaggy and playful. In his fictional features, as well as his documentaries and shorts, Burnett captures quotidian textures that enhance the overall arc of his films, while honoring the singular mystery of each individual detail, acknowledging its right to exist apart from a grand plan. It's a delicate aesthetic tightrope to walk, capable of collapsing into solipsistic preciousness, yet Burnett manages it time and again, forging an art of beautiful fragility. “To Sleep with Anger” opens on Gideon (Paul Butler), an aging African-American man sitting upright in a wooden chair, formally facing us in a sharp silver-tinged suit. Sister Rosetta Tharpe's cover of “Precious Memories” plays on soundtrack, lending the scene a gentle and languorous atmosphere of regret that complements the irritated look on Gideon's face. The camera moves over Gideon toward the right near the wall behind him to reveal an old portrait of an elderly African-American woman. After seeing the film in its entirety, we assume that this is a picture of Big Mama, who's referenced only a few fleeting times in the dialogue, but whose absence casts a pall over the narrative. The camera tilts below the picture and stops at a table with a bowl of fruit, including an apple cut in half, browning a bit in the center. This will also retrospectively strike us as significant symbolism, rhyming with Burnett's most ostentatious flourish: The fruit irrationally catches fire, and so do Gideon's feet. This image fades into another of Gideon's feet, now bare, as he sits on a tree stump in his garden, seemingly awakening from a dream. This is yet another moment that gains stature on the rebound: Has Gideon just awoken from a prophecy of what is about to happen to him and his family, who are put through an ordeal that offers them a catharsis from reenacting the resentments carried over from prior generations? In roughly three minutes, from the opening credits to this first post-credits scene, Burnett has entirely established “To Sleep with Anger”'s emotional and thematic logic, with a mathematical precision that also allows for mystery and nuance. Burnett sketches the details of the lives of Gideon and his family, bridging theatrical dialogue, portentous omens and presentational acting with a grace that's so masterful as to appear effortless, capturing enough life and subtext for several films. A boy practices his trumpet next door to Gideon's home, blowing awkwardly and irritating everyone in his periphery, including other boys who ridicule his struggles. Pigeons fly into the sky in rapturous slow motion. Gideon argues with his wife, Suzie (Mary Alice) about one of their sons. 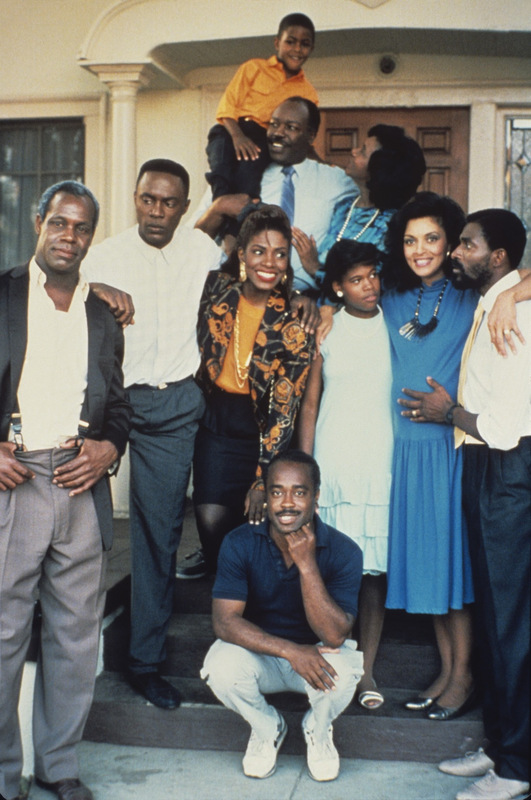 By the time that Harry (Danny Glover) arrives at Gideon and Suzie's doorstep, Burnett has carefully established this family as a group of decent yet uncertain people who are haunted by the legacy of American slavery. “To Sleep with Anger” refers many times to the notion of the “the right thing happening for the wrong reason,” and there are accompanying references to superstitions and tall tales linked to Gideon, Suzie and Harry's generation. “To Sleep with Anger” is another neglected masterpiece of African-American cinema, along with “Nothing But a Man,” “Ganja & Hess,” “Losing Ground,” “Daughters of the Dust,” and others that have been restored and re-released in a limited handful of theaters over the last few years. The trend is encouraging, hopefully reflecting the rewriting of the canon of American cinema, highlighting a few of the voices that have been ignored so as to proffer an unrepresentative through line of white male actualization. This implication of estrangement and marginalization bleeds into “To Sleep with Anger,” though Burnett has the daring to end it on an overpoweringly hopeful note. That boy and his trumpet finally find unity, learning to sing.